’Fitness RPG’ must be kept running in the background to track steps properly. Some Android systems might automatically remove background apps to save battery and memory. You can prevent this by whitelisting ‘Fitness RPG’. For example, here is a guide for HTC phones. 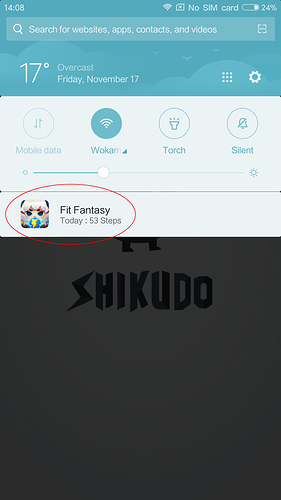 If you are still having troubles with tracking steps, please try to clear all the Fitness RPG app cache and data re-downloaded the game. Consider using Google Fit if you can’t find the option to whiltelist ‘Fitness RPG’. If you haven’t connected your phone, please check this post. My steps are being tracked and it’s showing in my notifications area like you show. But when I enter the game it’s not allowing me to collect any energy. U can easily look at my account and see I got 80k steps an not 80k steps worth of energy. Again today I was only able to get away with 30k steps worth of energy. My game is still in the background otherwise indolent be getting what I’m getting. Even doing small tests of 100 steps and still can’t collect anything. Hi @Laharl, the steps conversion is capped at 30k steps per day. We’ll make this more clear in a future update. i let it run in the background and i saw it in my notification bar. i put my device in my pocket and went on a walk yesterday, and when i got home, i checked my steps, and it said 0, so i tried to shake it to make it go up, and it didn’t, so i tried to do the same in the app, because steps seemed to go up while the app was open, and it didnt, so i dont really know whats up. Do you still see the app displayed in the notification bar after your walk? Some Android devices silently removes apps running the backgrounds. Would like to give Google Fit a try? Lots of our players are using Google Fit and find the tracking to be very stable. Please let me know how you go with this. We’ll investigate. Thank you for reporting the issue. The daily maximum number of steps you can earn energy for is 30k. Any steps that you take beyond 30k won’t be converted into energy. It’s the second time I have this problem : Everything is normal, then, with no reason why, steps are not counted anymore in the game. I close the app, reboot my android… nothing works. 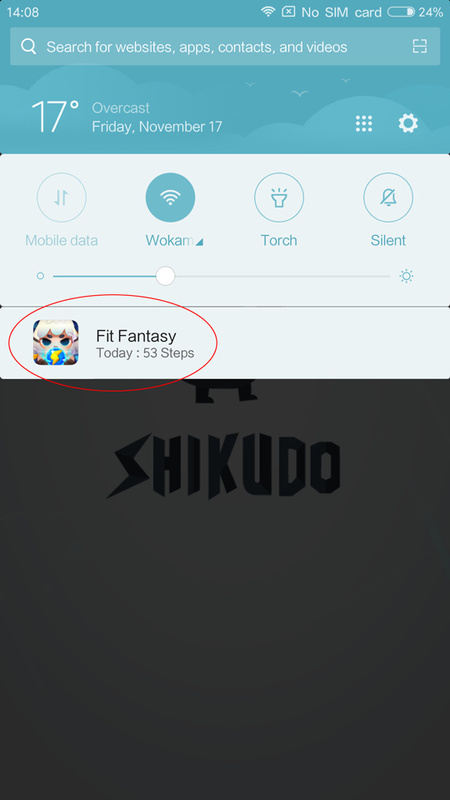 The app displayed in the notification bar counts my steps (but the number is not the same as the number shown in game : 159 vs 8932), and the app is still in the background. Last time, I had to wait 2/3 days then it worked again. What could I do to be able to play and have my daily 20k steps ?